This past July I traveled to Caringorms National Park in Scotland for a mountain bike adventure. It was a fabulous trip run by H+ I Adventures, a company that offers global trips and happens to be planning the first ever Yeti Beti International Tribe Gathering in New Zealand. The Caringorms National Park is an intermediate trip. 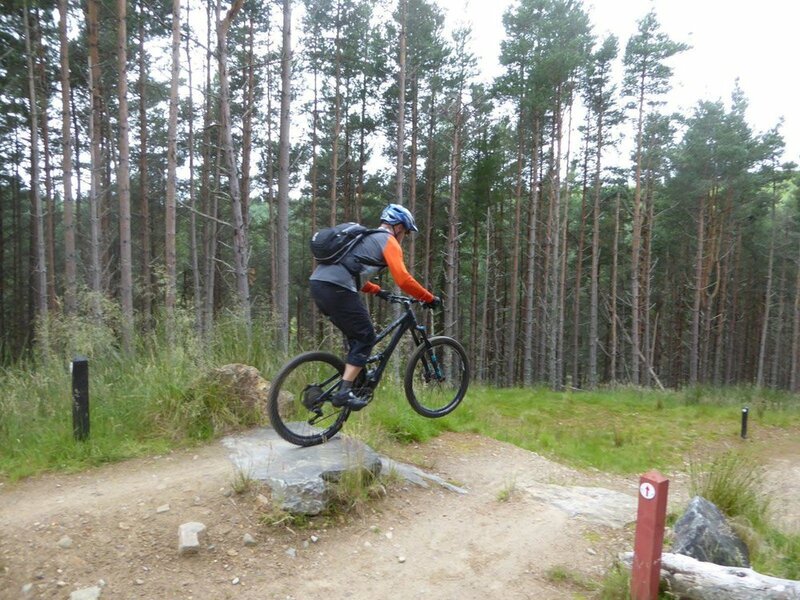 Situated in the Scottish Highlands, the park has many walking and biking foot paths and single tracks. I flew to Inverness and met my group at the H+I headquarters. The group consisted of 3 men from Finland, a man from Switzerland, couple from France, and Jono, the guide. At 69, I was the oldest member of the group. David was the youngest at 28, and the others were in their forties. At home in Colorado, when I step off my bike the ground is hard. However, in Scotland the ground is heather or boggy and soft. It took me a day to figure out how to not topple over when I stopped and my foot disappeared. 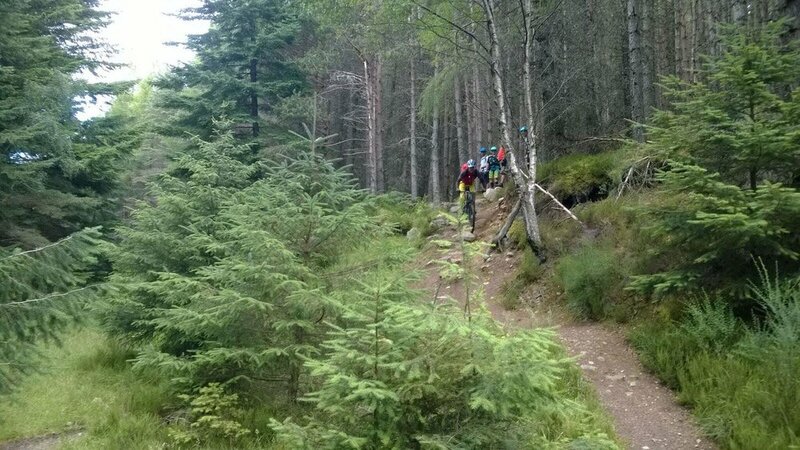 We rode about 20 to 25 miles a day climbing mostly on double track with swooping downhills on single track through the Scottish pine forests and heather (wild flowers). One of the most technical challenges consisted of an epic rock garden. There was no line, it was boggy, and rocks were everywhere. Everyone walked quite a bit including Jono. 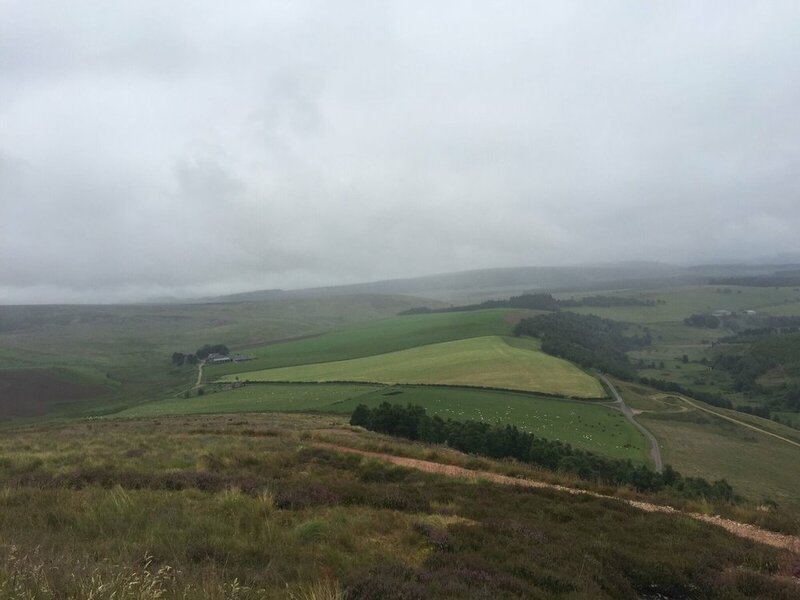 In Scotland, the law allows people to hike or bike on private property and many of our rides were on hunting estates. Who knew? Each night we stayed at a traditional Highland guest house in Aviemore where we could dry our clothes if needed (which it was). The weather was variable but generally pleasant. Two days were rainy but with warm temperatures and we learned to ride wet roots and rocks. Other days it only rained a bit but with sunshine between the showers. Jono, our guide was an outstanding leader and teacher. He had us riding across rivers, down rock gardens, through bogs, over wet roots, around dicey switchbacks, and over jumps. He made everyone in the group feel welcome and accomplished. I was riding my new Yeti SB5 and Jono helped me become very comfortable on an awesome bike. We even took time to see the local sights. One afternoon, after a morning ride we visited a cooperage where whiskey barrels were made and then we sampled whiskey at a distillery. 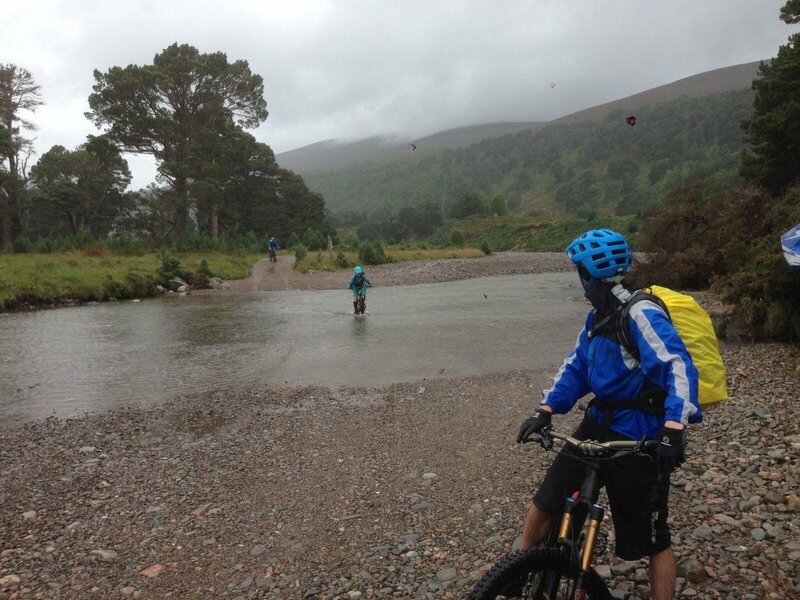 The trip was an outstanding way to experience the riding in Scotland, and I considered it a total success.